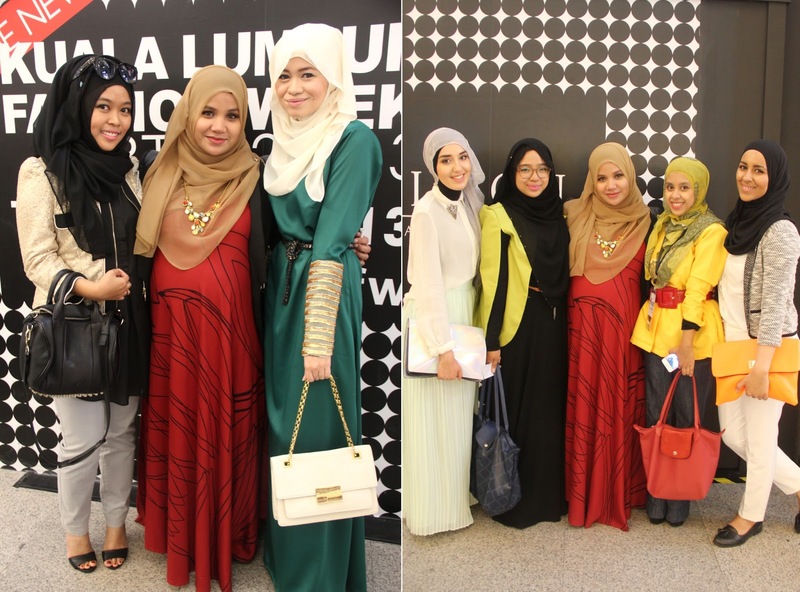 I attended the KLFW 2013 fashion show at Pavilion KL last friday as a guest for Ammara (thank you so much for having me!). The fashion show showcased 4 talented designers representing IFF (Islamic Fashion Festival). These designers included Ammara, Zleqha, Mazlianul Maznan and Jubahsouq. 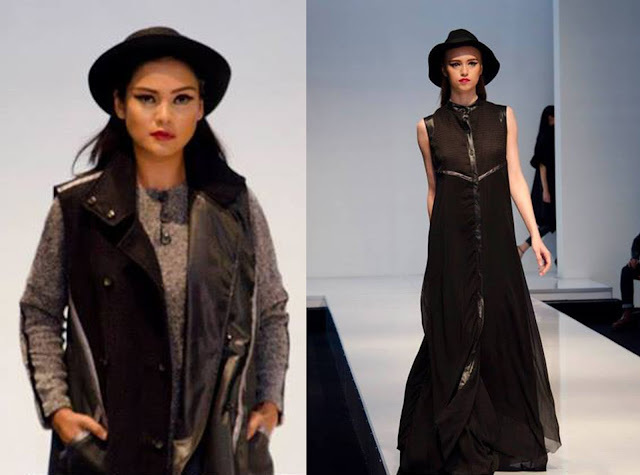 Ok enough jibber jabber, lets have a look at some of my fave picks from the KLFW runway already! My favorite look from Ammara. Loooooved the designs and that print! Sara & Amal, you girls did an amazing job! Designs by architect-turned-fashion-desinger, Zleqha. Tres chic! Soft and elegent designs by talented Mazlianul Maznan. Closing the show that day was a designer from Indonesia. And these are my ultimate favorites from previous Day 1 & Day 2 shows. Holographic inspired collection from Ezzati Amira. To die for! Minimal & rugged designs by Pearly Wong. Left : Cutie Shea Rasol, puffy me and gorgeous Sabrina. 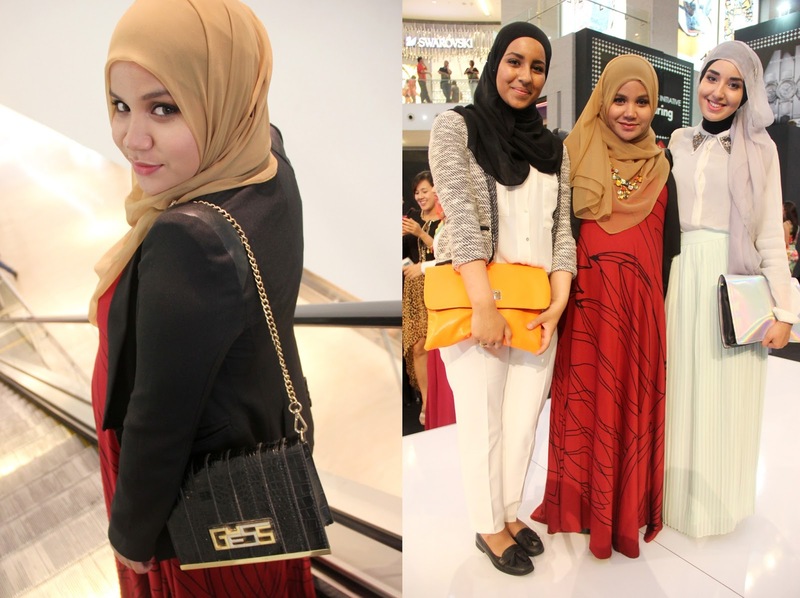 Right : With Imane, Sara & Amal (designers of Ammara) and Sabrin. I was kinda having a hard time finding something fashionable to wear to klfw, because lets face it, dressing up a pregnant body is no easy task. Especially when your already 35 weeks and almost ready to pop! So as always, I turned to Fashion Valet, since it's officially my fave online shopping website! Thanks to this beautiful Anglia dress and Kamelia necklace,I managed to put together a decent look that was both comfy and klfw-appropriate! Tehee. A lot of new arrivals on FV at the moment girlsss. Check itttttttttt! Wslm;) aww thank you asyik! hehe kite makin bulat sgt2..
lawanya kak Aishah ..still fashionable walaupun pregnant..
Love those dresses from Mazlianul Maznan they are really ebautiful and elegant, and those two outfits from Zleqha are really awesome, love the heels too! And of course, your outfit, that dress is really beautiful! 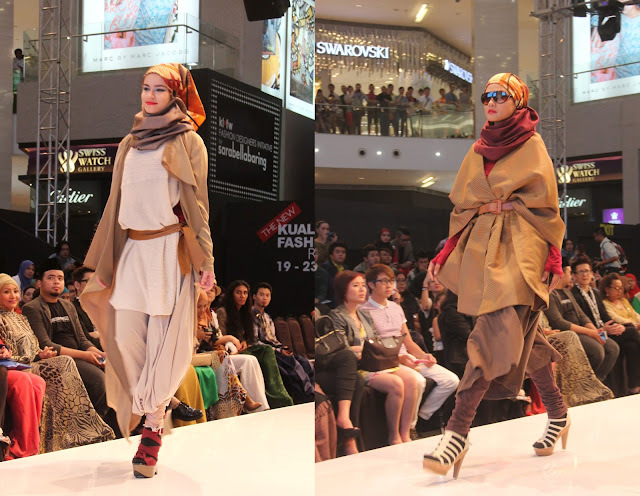 This Kualalampur fashion week hijab dresses are really very nice and beautiful.I like it. Looking to buy online hijab today? We offered you for great design hijab cloths. beautiful hijabis! and i love how you wear your hijab btw so flowy! Gorgeous mA! I love your outfit, and you rocked pregnancy like no other! Wow!!! You are select awesome pics for HIJAB FASHION designs... really nice design. Voilechic.ca is the decent Online Hijab Shop to purchase hijabs and we give the considerable quality and reasonable guaranteed about hijabs. Here are potential outcomes for the hijab store on the web; I am the hijab configuration shop.